The cooling breeze from your A/C system feels like a lifesaver during the hot, humid days of summer. But the fact is, it can be the cause of a variety of ailments for you and your family. Here is a look at how your old A/C system affects health, the advantages of newer units and recommendations for the healthiest models. Old systems can cause flu-like symptoms, asthma attacks and irritation in those nose, eyes and throat. 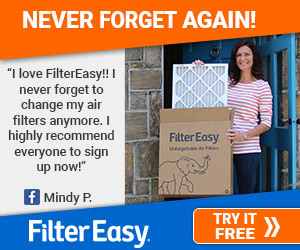 The problem is the way the filtering and cleaning system was designed on older air conditioners. The filter and cleaning components on these older models attract fungi, bacteria and pollen, which build up and spread as the air circulates. Fungi like aspergillus and histoplasma capsulatum are a major cause of respiratory problems and allergy symptoms. If you or a family member already suffers from asthma or bronchitis, there is greater susceptibility to lung infections and other reactions to the circulating toxins. In some office buildings, it is common to complain about musty air and chronic headaches, fatigue, skin irritations and problems breathing. These can be the effect of older A/C systems, which recirculate contaminated air in buildings that are sealed. Workers keep breathing the same contaminated air. A report in The Independent cited a study of over 700 office workers in Britain. They were more than twice as likely to experience problems with respiratory infections than workers in buildings that had natural ventilation. Some outbreaks of Legionnaire’s disease, a form of pneumonia, have been traced to contaminants in the air. One of the places that the bacteria causing it can lodge is in the filters of old air conditioners. Any air conditioner, new or old, needs regular care. This not only helps ensure that the air you breathe is clean, it also adds years to its lifespan, keeps it running at peak performance and saves you money on energy bills. On older models, you need to check the filters at least once a month during times of heavy use. Have a trained technician give it a tune-up once a year. Beside changing the filter, he can check the refrigerants, calibrate the thermostat and check the interior for signs of wear and dirt build-up. Older air conditioners can contain dangerous chlorofluorocarbons or hydrochlorofluorocarbons. Following the signing of the Montreal Protocol in 1987 and the passage of the Clean Air Act, these are being slowly phased out worldwide in an effort to halt ozone depletion and the onset of global warming. Both contain damaging chlorine, which is bad for the environment. These were common refrigerants in many air conditioners for over 40 years. When this substance leaks, it causes harm not only to the ozone, it also can cause problems to the human nervous system and other parts of the body when inhaled. Pays for itself – Buying a new air conditioner is a significant benefit, but it can pay for itself in just two or three years of regular use You can stay healthier, save money and get your air cooled more efficiently. Keeps the doctor away – New models use more effecting filtering systems that catch pollen, fungi and dirt, preventing them from circulating in your home. By removing these contaminants from the air you breathe, you reduce the chances of respiratory infections and allergy attacks. Lower power bills – Modern units with the Energy Star label can easily save you 10% to 40% on your energy bills each month. These models provide a high level of cooling combined with energy saving technology. To qualify for the Energy Star label, these air conditioners are required to have a minimum seasonal energy efficiency ration, or SEER, following the guidelines of the Environmental Protection Agency. The higher the SEER rating, the more efficient is the air conditioner. Efficient cooling. When buying a new unit, size it correctly for the space you want cooled. If you have too small a unit in too large a space, it will need to work harder, leading to breakdowns. It also ends up costing you more for energy. Buying a new air conditioner can be an investment in your health, your comfort and your budget. For more information regarding home air conditioning system solutions, call 228-273-1511 to speak with a team member at Ball Heating & Air Conditioning, or chat with us online at http://www.callballthatsall.com.